Over the past decade, the city of Toronto has become a thriving center of the craft beverage industry. Local craft breweries and distilleries are located around every corner, offering something unique for every visitor. Take tours, eat food, and enjoy drinks ranging from classic staples to adventurous concoctions. 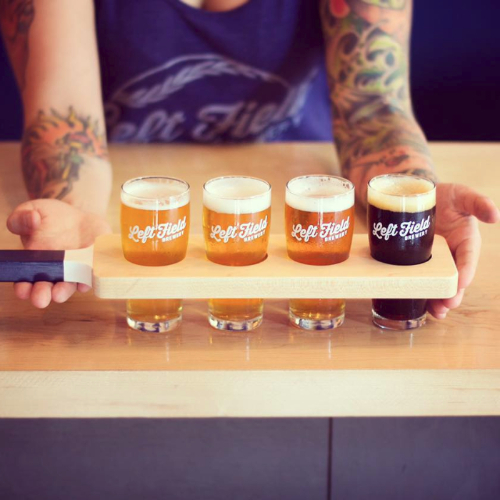 East Toronto's Left Field Brewery is located in a former brick-making factory that is over one hundred years old. Founded by husband and wife team Mark and Mandie Murphy, the brewery offers a wide range of flavourful beers largely named after obscure baseball teams. "Our team is made up primarily of huge baseball fans," explains co-founded Mandie Murphy. "Guests can expect to learn a little something about both baseball and beer when they visit us." This family-friendly and dog-friendly brewery boastst a fun and unpretentious atmosphere, making it a great destiantion for foodies and casual beer drinkers alike. Special events are offered throughout the year, such as food pop-ups, craft workshops, and in-depth beer education seesions. Left Field's most popular brew is Ephesus, an Oatmeal Brown Ale that was the first beer the brewery ever made. Left Field also offers tours for $10 on Saturday and Sunday at 2:00 PM, which include one 10 or 12-ounce beer. Currently celebrating thirty years in the craft beer business, Etobicoke-based Great Lakes Brewery is one of Canada's oldest independently owned and operated craft breweries in Canada. The brewery offers an impressive variety of different styles of beer, and 99.99% of all beer produced is sold in the province of Ontario. For first-time visitors, Canuck Pale Ale is a must-try. "This is our baby," says Marketing and Communications Manager Troy Burtch. "A west coast style pale ale, Canuck packs a lot of flavour without the big bitterness that some would expect from a beer with aromas of grapefruit, tangerines, mango, and pine. From the sterotypical Canadian lumberjack on the can (Gordie Levesque) to the fun description and colourful tasting notes to food pairings, Canuck is 100% Canadiana." 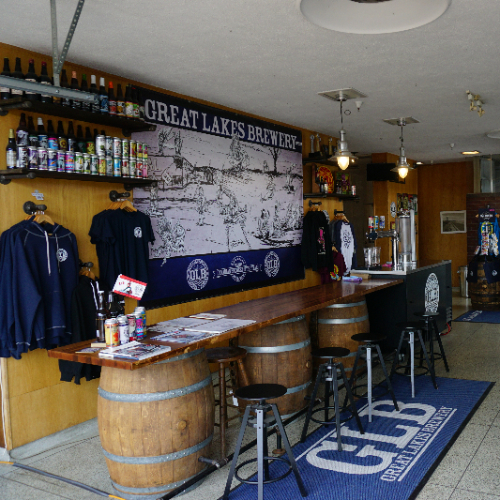 Due to renovations, Great Lakes Brewery does not currently offer brewhouse tours, but visitors can enjoy a "tour of the taps" in the retail store. Learn about the history of the brewery from staff members, enjoy a guided tasting flight of five different beers, and then enjoy a relaxing day on the large front patio. 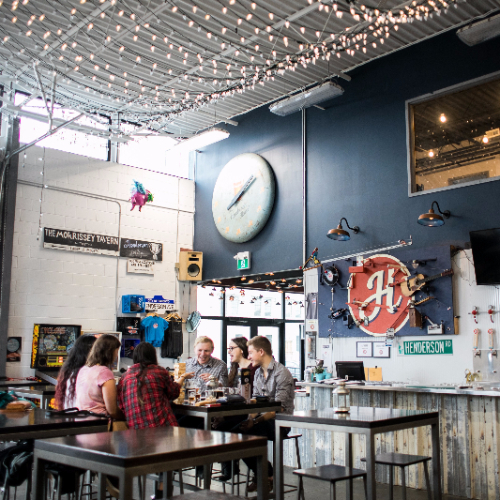 Located in Downtown Toronto, Henderson Brewing was founded in 2014. 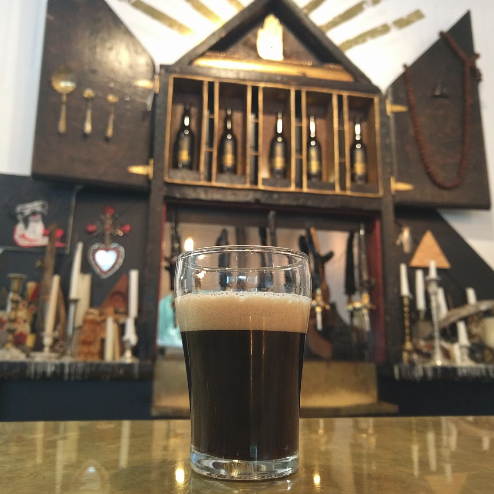 Their brews are thoroughly inspired by the city, drawing on the history, characters, and locations around them as inspiration for unique beers. "We brew a different specialty beer each month inspired by a Toronto story--our Ides series," explains General Manager Steve Himel. "Our must try is Henderson's Best," says general manager Steve Himel. "We believe it is the taste of Toronto as it was developed to both make the best of Toronto water and also reflect a modern interpretation of Toronto's first beer, which was brewed by Robert Henderson around 1800." Henderson Brewing offers tours every Tuesday night for $5 as well as ad hock custom tours for groups at any time for $20. Also be sure to check out the brewery's Rube Goldberg machine that opens and pours a bottle of beer. Opened in 2015, Blood Brothers Brewing is a relative newcomer among Toronto's breweries but has gained something of a cult following for its low-key atmosphere and innovative brews. This family-owned craft brewery is located inside an old warehouse, once a storage space for imported perfumes, reminiscent of a 1920s speakeasy. Particularly known for sours, Blood Brothers features a small outdoor patio and a tap room. The no-frills microbrewery is located in a residential area near Dupont and Duffering, providing visitors a relaxing escape from the more hectic downtown. While no food is served onsite, food trucks are frequently in the area. Another of Toronto's oldest breweries, Amsterdam Brewery has been in business since 1986. Since then, the brewery has expanded to include a large production facility in Leaside Village and The BrewHouse Restaurant and small batch brewery on the Lake Ontario waterfront, both of which are open to visitors. In addition to sampling the brewery's selection of house-made ales, lagers, and stouts, visitors should be sure to stop at the BrewHouse restaurant, where the menu incorporates elements of the brewing process. Spent grains, wort (young beer), and beer are used to make sauces, syrups, caramels, and other ingredients. 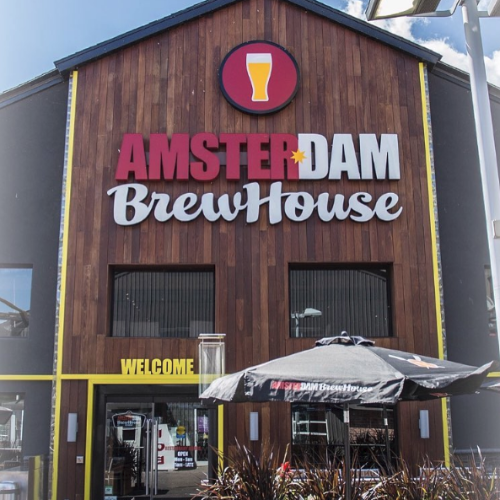 Amsterdam's BrewHouse offers free tours at 4:00 PM on Mondays and Tuesdays and at 12:00 PM, 2:00 PM, 4:00 PM, and 6:00 PM Wednesdays through Saturdays, while the Leaside brewery offers tours and tastings every Saturday from 1:00 PM to 5:00 PM. Tours include a free tasting, are limited to sixteen people, and should be booked in advance online.